Ouch! You played too long in the sun, and now you and your little ones have a nasty sunburn or heat rash. But don't go shopping for a chemical-laden lotion to ease your pains -- the magical remedy you seek is probably already in your home. You’ll just need to take a few minutes to put it together. This cooling after-sun soother not only takes the sting out of your day at the beach, but it also helps repair your skin and allows your sunburn to heal faster than it would without treatment. That means less pain, less peeling, and less time to wait before you can head out to play again! 1. Collect your ingredients and supplies. 2. Brew some strong tea. 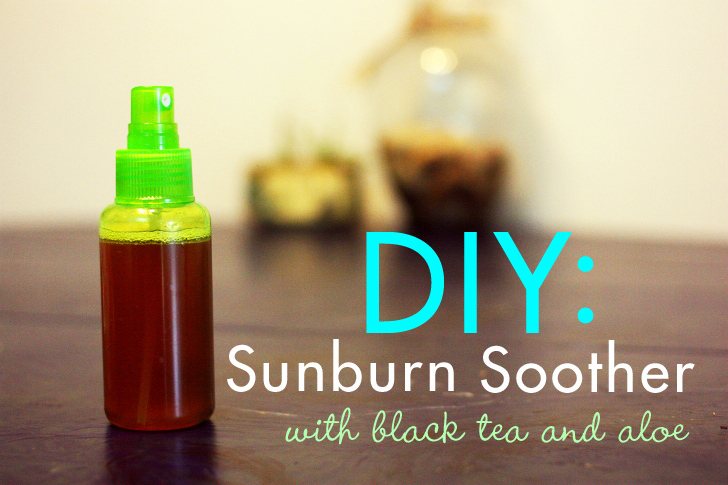 Strong black tea is your secret weapon against the sun’s sting. Boil the filtered water and pour over tea bags. 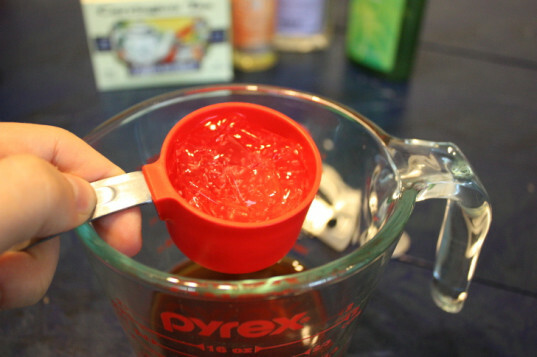 Allow to steep for 20 minutes in a glass measuring cup or jar. Remove tea bags and let the tea cool to room temperature before moving on to the next step. 3. Mix it all up. 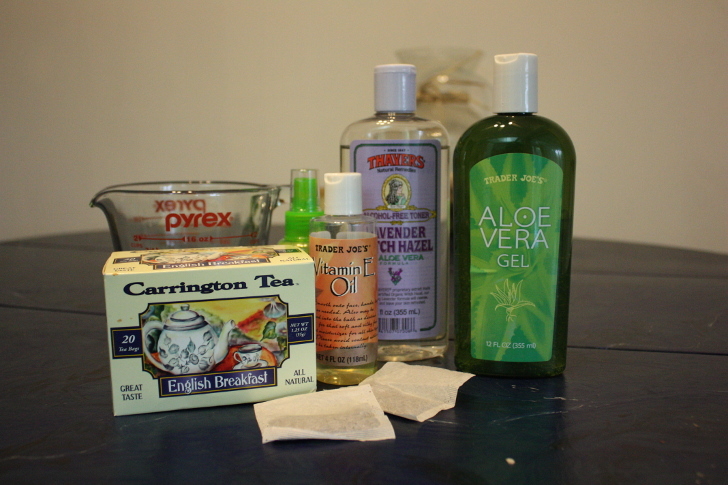 Add the aloe vera gel, witch hazel, and Vitamin E oil to your super strong black tea. Whisk to mix thoroughly, ensuring that the aloe vera gel is evenly distributed throughout the mixture. 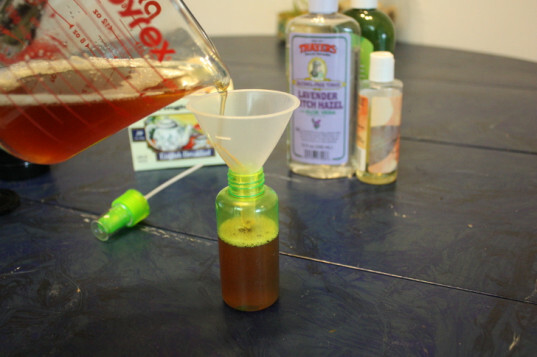 Pour into spray bottles. Your sun soother is now ready to use! It will keep for up to a week. 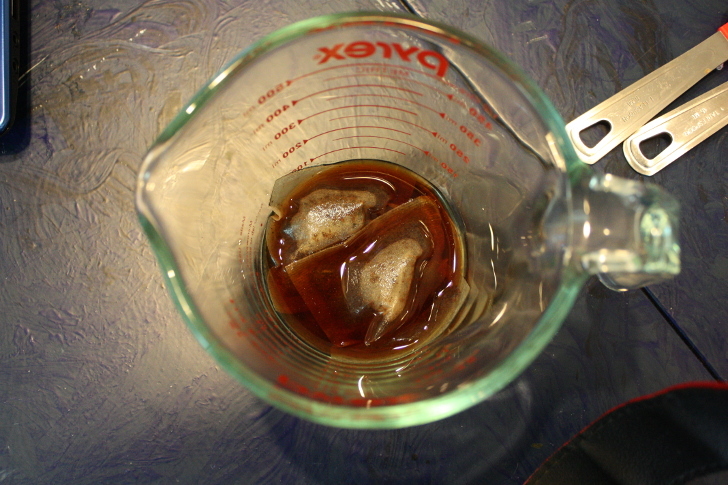 This recipe yields about 6 ounces (¾ cup). For bonus cool points, stow your after-sun soother in the fridge between uses. Keeping it cool will immediately take the sting out of the wickedest sunburn.